There is large community of Ukrainians living in Latvia. Recently there are as well refugees arriving from Ukraine to Latvia, people who are forced to leave Ukraine of different age groups. These people need support from the local society to get to know the life conditions and opportunities in Latvia. 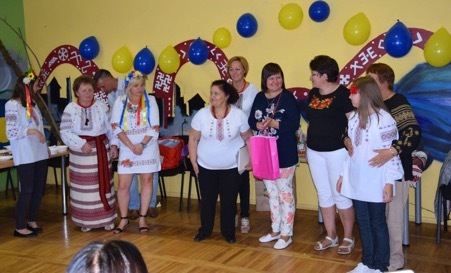 Event was organized in cooperation with Jelgava city municipality and the Ukrainian community to raise awareness of the situation and spend some quality time together. Focusing on the non-formal approach and showing the cultural delights of Ukraine with the help of songs, dances and of course food!